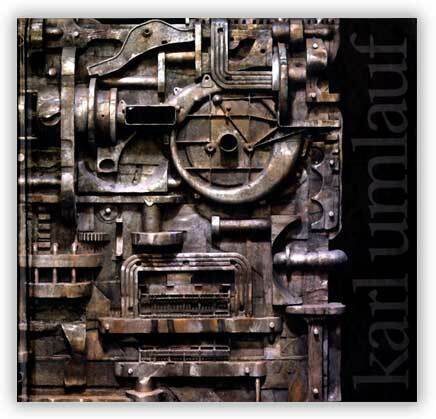 Karl Umlauf: The Journey dramatically documents Umlauf’s prolific career in this hardcover monograph of more than 95 color and 120 black-and-white images, retail $45.00. To order, call 254-857-4895. For wholesale inquiries and discounts at $28.00 wholesale, contact Iron Bridge Press at 254-714-2294, 204 pages with 210 images, hardcover with dust jacket. ISBN 0-9721329-0-2 LCCN 2002110699. “The comprehensive overview officered by The Journey shows the uniquely bold and simultaneously subtle spirit of Umlauf’s work. It allows us to savor its capacity for continued enrichment and fills us with anticipation for the next step.” –Janice McCullagh, associate professor of art history, Baylor University.